The State of Amazonas is the largest land area in the country, with 1,559,161.682 km square, equivalent to the area five countries combined: France, Spain, Sweden and Greece. It's bordered by Roraima, Pará, Mato Grosso, Rondônia, Acre, Peru, Colombia and Venezuela. This state is situated in the northwest of this South American country. As its name implies, this state is almost entirely covered by the Amazon Rainforest and enjoys the splendour of the massive Amazon River, which winds its way through Brazil, bringing with it an array of species from the plant and animal kingdoms. In addition, this area is notable for being the home of Brazil’s highest mountain, Pico da Neblina, which is 2 994 metres, or 9 823 feet, above sea level. During the 15th century, the entire area of the Amazon basin belonged to Spain. However, it was only in the following century that explorers began to traverse this intriguing countryside, investigating its natural abundance and its suitability for settling and for various trade opportunities. With the goal of introducing Christianity to the native people that were living in the jungles,several Spanish mission stations were established, bringing with them lay preachers and missionaries from Europe. These ones eventually settled, creating a new generation of children from mixed origin. Over the decades and centuries that followed, Amazonas was a topic of dispute, as different European entities vied for political control. Slavery and deforestation plagued this state, along with many others in Brazil. During the 1800’s, Amazonas experienced an influx of people from around the world, who held high hopes for their part in the rubber boom. 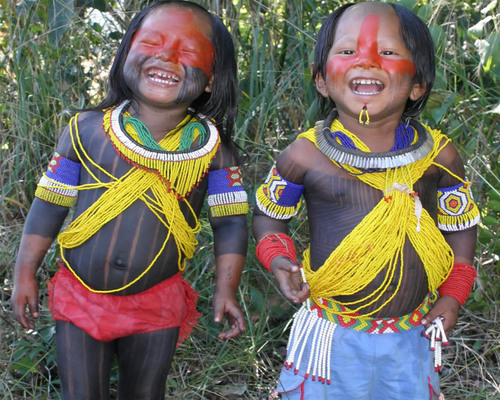 The Brazilian Institute of Geography and Statistics (IBGE) identified 65 indigenous groups in the state, which holds the largest population of Indians in the country, totaling 168,680, according to the 2010 Census. The Amazon has also 98% of its forest cover preserved, and one of the largest freshwater springs. Suffering influence of various factors with rainfall, vegetation and altitude, the water forms in the region's largest river system on the planet. Most Amazonian rivers is navigable throughout the year. 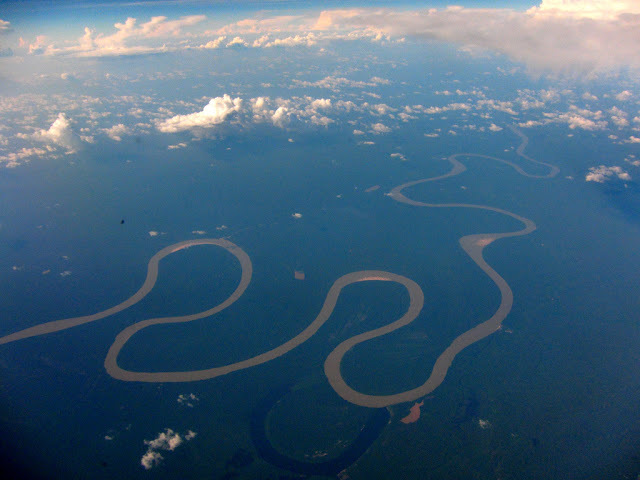 The Amazon River is internationally known as the world's largest, having a course calculated in 6300 km. Its Atlantic arc has the extension of 400 km. Presumably born in the lagoon Santana (Western Andes), where their catchment area is a river of glacier. Amazonas is subtropical, meaning that it is hot and humid. These conditions are experienced all year round, with no dry season. The vegetation is made up almost entirely of tropical rainforest comprises 1) submerged land, 2) land that is only submerged during very wet seasons and 3) low plateaus. Economy: Combining its ecological potential of a business policy grounded in sustainability, the capital of Amazonas became the 6th richest city in the country. Part of this success is due to the Industrial Pole of Manaus (PIM), a model of regional development that houses numerous national and international companies, generating over 100,000 direct jobs and a turnover of 35 billion dollars in 2010. PIM is the main mechanism in the model development irradiator Manaus Free Zone, which provides tax incentives for production. This policy incentives generates employment, income and increased collection of federal, state and local not only in the Amazon, where is situated the PIM, but in other states of the Western Amazon (Roraima, Acre, Rondônia), plus the cities of Macapa and Santana, in Amapá (the area of ​​operation of the model Zona Franca de Manaus). Within the state is increasing the opening of new employment opportunities and income, by investing in areas such as farming, agribusiness and rural production. For this, the Government of Amazonas has a system to support the productive sector that combines technical assistance, promotion and marketing. The Amazon surprised by the combination of modernity and nature conservation, featuring bold cultural venues, shopping malls, excellent hotels, world class restaurants, diverse school system, parks and green spaces for social integration, ensuring quality of life and well -being of the population. The State also has several tourism options that will visit the caves and waterfalls, the practice of tree climbing, fishing, folk festivals and heritage sites. A regional tourism boat on the Amazon River, Amazonas.